Is managing your schedule a full-time job by itself? Did someone forget to pick up the milk, the dry cleaning and the children…again? If serving as the chief administrative officer of your household is wearing you down, do what I did – get cozy with Cozi.com. I am always looking for ways to keep my family and me up to date on calendar items and to-do lists. Cozi.com is a great way to achieve this. It is also a great way to keep your family informed even if you prefer paper planning (and don’t want them digging through your planner!). 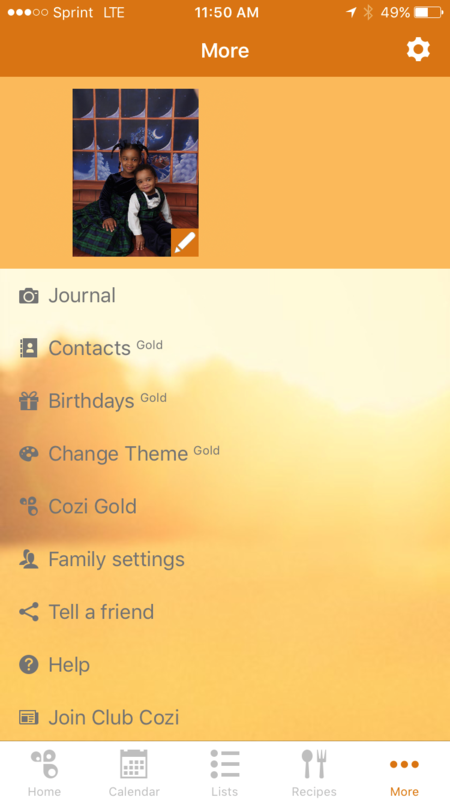 Think of Cozi.com as a family organization portal. I’ve been using it for several years, and I love it. 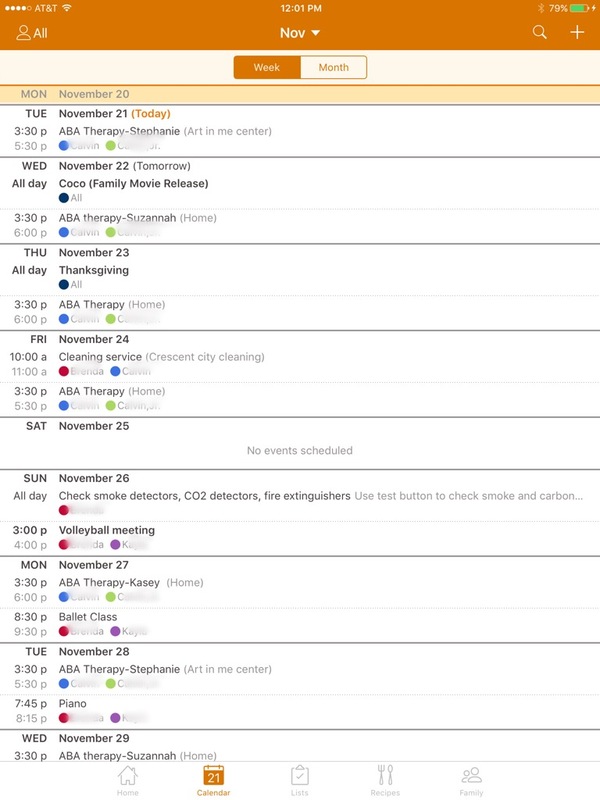 The key feature is the family calendar that can sync with Outlook and includes color coding for each family member to make it easy to see who needs to be where and when. 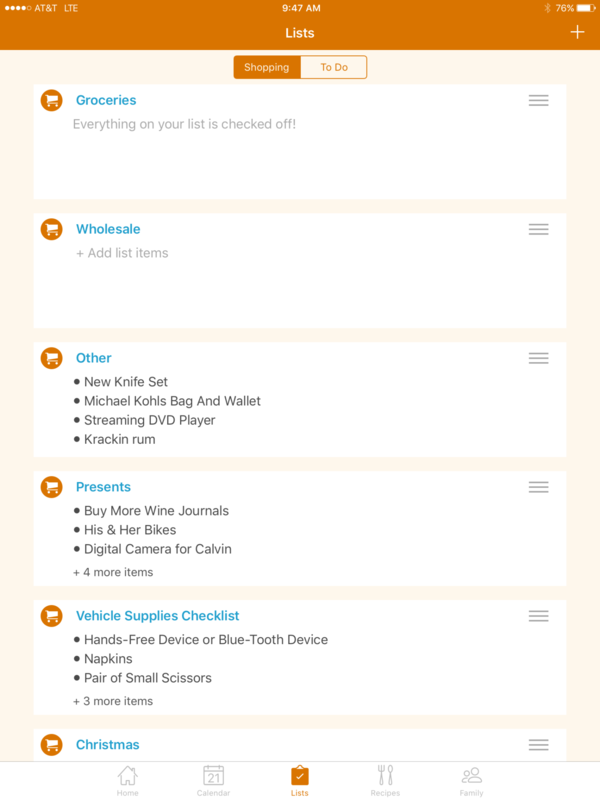 In addition, there are shopping lists that can be shared, journaling pages, a family messaging tool and a to-do list section. 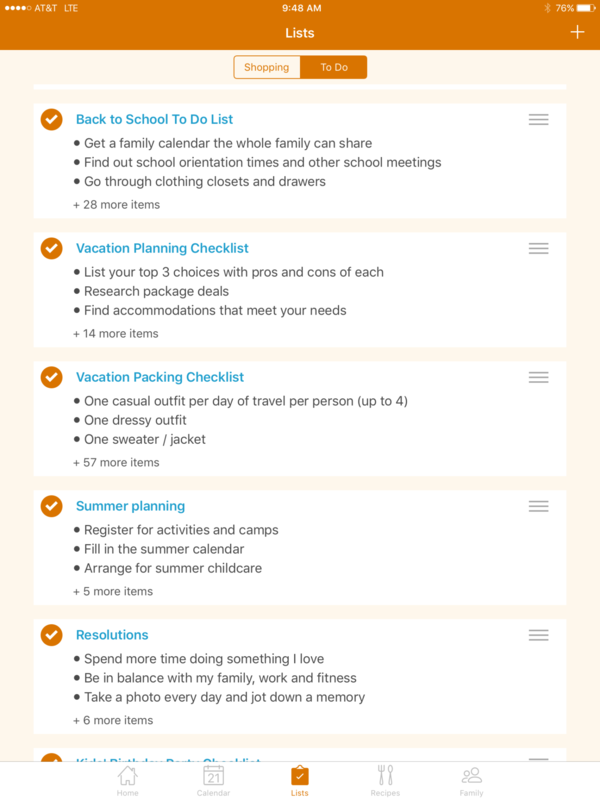 The to-do list offers several default lists to get you started (one for you, your spouse, shared and vacation planning). Of course, you can add additional lists as you like. You also have the ability to add different types of lists to the shopping list section and pre-populated lists directly from Cozi. Best of all—it’s FREE! 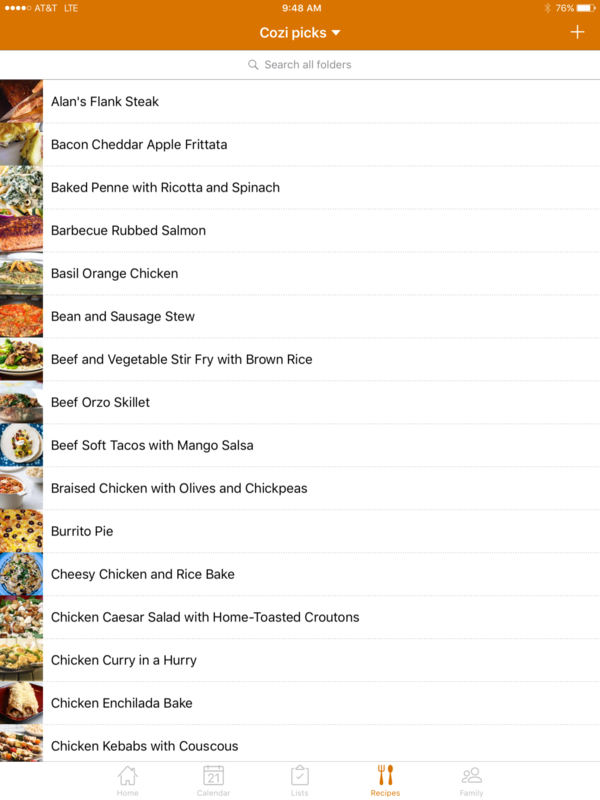 And there’s also a premium version and an iPhone/ipad/android app to go along with it! What kind of tools do you use to keep everyone up to date? Let me know; I would love to hear from you.